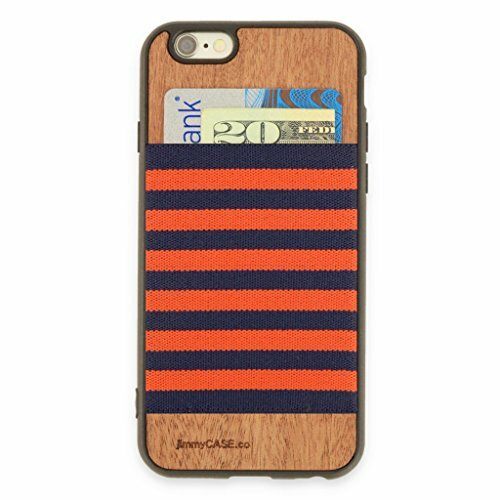 The Magic Elastic Wallet Case is the perfect place to carry the cards and cash you always need with your iPhone. jimmyCASE holds 6 cards & cash, tight! The high-performance pocket never stretches out and is made from premium elastic fabric, custom-woven in the USA. Each case is finely crafted by hand in Los Angeles, California to deliver protection and style, with a genuine mahogany wood core and protective bumper. If you have any questions about this product by jimmyCASE, contact us by completing and submitting the form below. If you are looking for a specif part number, please include it with your message.